Studio(s): Walt Disney Pictures, Whitaker Entertainment, Walt Disney Studios Motion Pictures. 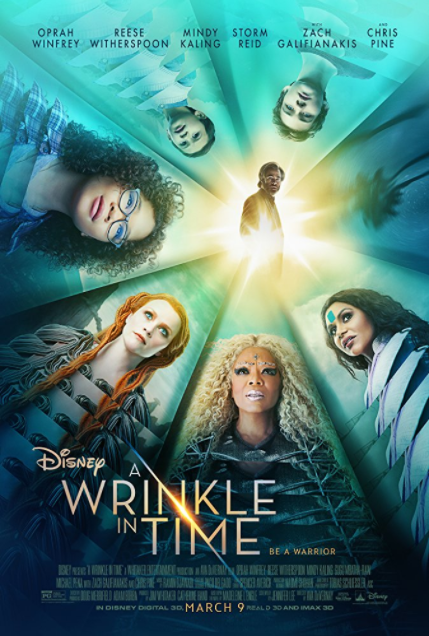 Cast: Storm Reid (Meg Murry), Oprah Winfrey (Mrs. Which), Chris Pine (Dr. Alex Murry), Reese Witherspoon (Mrs. Whatsit), Gugu Mbatha-Raw (Dr. Kate Murry), Mindy Kaling (Mrs. Who), Michael Peña (Red), André Holland (Principal Jenkins). Story: Follows Meg Murry (Storm Reid), a young girl traumatized by the disappearance of her scientist father (Pine) years before. She finds herself on an interplanetary journey with a schoolmate and her younger brother to find her father. They are aided by a trio of supernatural beings: Mrs. Whatsit (Witherspoon), Mrs. Who (Kaling) and Mrs. Which (Winfrey). Source: Movie Insider.